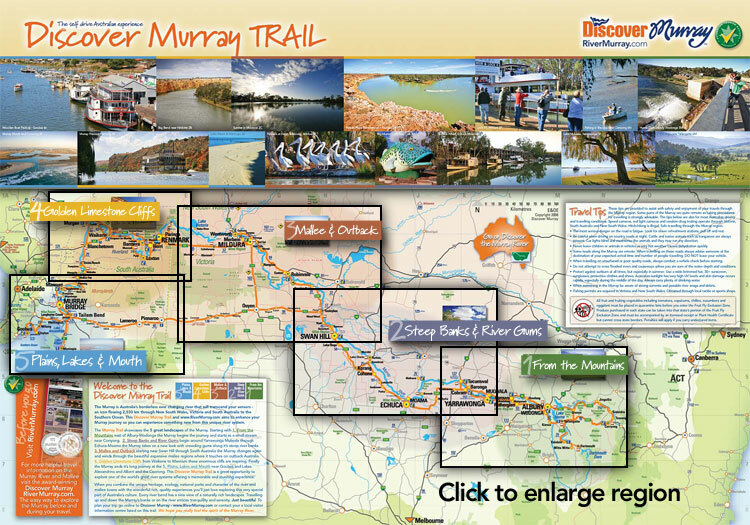 Order your Discover Murray Trail today! Man from Snow River country greets the Murray River near Corryong in the Victorian Alps. The river's journey through the heartlands of Australia ends powerfully at the the Coorong and Murray's mouth in South Australia. The mighty and ancient Murray River shows her many colours and moods, characters and life. Experience the 2520km journey along the Murray Valley. Re-discover the 5 great landscapes of the Australia's iconic river...see our big skies...taste our amazing food...and live our landscape. Get a Discover Murray Trail from a local Murray River Visitor Information Centre to truly experience the amazing diversity of this beautiful waterway. 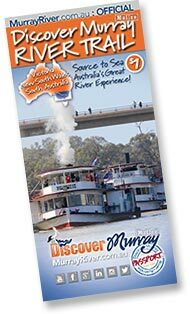 Come and experience our rich and unique Murray River and Mallee communities. Located between Melbourne, Adelaide, Canberra and Sydney, the Murray River Trail is a fantastic journey of change, freedom and beauty. Come and see for yourself. Contact a local Visitor Centre for a copy today!